Ibsen International commissioned 8 playwrights from around the world to write new plays on the theme of migration and refugees. 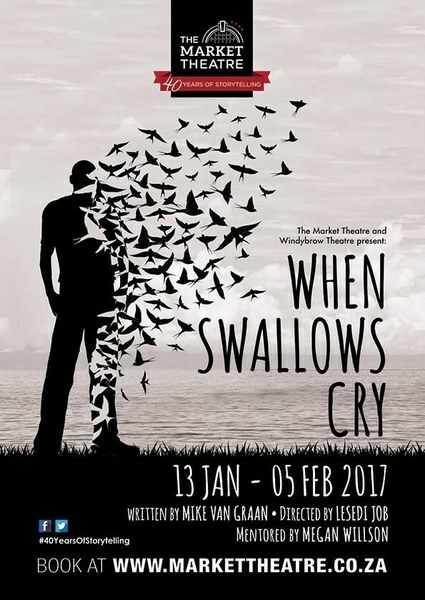 My three-hander trilogy on the theme was written in 2016 and premiered at the Market Theatre in January 2017. It was produced at the Baxter Theatre as an independent production a year later with a different cast, and subsequently toured a number of countries (Switzerland, Sweden, Germany, Ethiopia, Uganda and China). The play has now been translated into Greek and will be staged at a festival in Athens in March 2019. The Norwegian theatre company, Ibsen International, with its long history of engagement with China, commissioned eight playwrights from around the world to produce new works as part of its New Text-New Stage II project, and to work with the theme of migration which is of increasing political significance globally. The playwrights (three from Europe, two Chinese, one American, a Russian and myself from South Africa) met over a period of nine months for a week at a time in three Chinese cities (Beijing, Shanghai and Guangzhou) during 2015/16, developing our scripts with dramaturges from Norway, Italy and Slovenia, and with Chinese actors, in this unique international project. In the final phase, directors from Hong Kong, Germany and Norway worked with Chinese actors in staged readings of excerpts of the scripts, as part of their further development. The Market Theatre produced When Swallows Cry in January 2017 and it played to sold-out houses and critical acclaim. This production was to be performed at a festival in China in December 2017 with the other plays that were part of the New Text-New Stage II project, but it was refused a performance permit by the Chinese censorship authorities. The next year, however, the organisers found a way to present it at the University of Nanjing as universities were less subject to censorship. When Swallows Cry is a hard-hitting trilogy of playlets that explores the inequities and layered complexities of contemporary global mobility, particularly from African perspectives. Once forced to “migrate” as slaves, Africans are now among the world’s least attractive migrants in the wealthy economies of the world, many built – not insubstantially - on African labour and mineral resources. After the Market Theatre production, we staged an independent production at the Baxter Theatre the following year, with a Cape Town-based cast. The play was translated into Greek, and was performed in Athens from the last weekend of March 2019. The script is available on this site.